June 2, 2017 is National Donut Day and a number of major donut chains are celebrating by offering a deal or freebie for donuts. - Dunkin' Donuts - Free classic donut of your choice with any drink purchase at participating locations. - Krispy Kreme - Free donut of your choice at participating locations. No purchase necessary. - LaMar's Donuts - Free donut with a hole (i.e. no jelly-filled donuts). No purchase necessary. - Shipley Do-Nuts - Free glazed donut with purchase at participating locations. - Tim Hortons - Free classic donut with purchase of a brewed hot or iced coffee at participating locations. 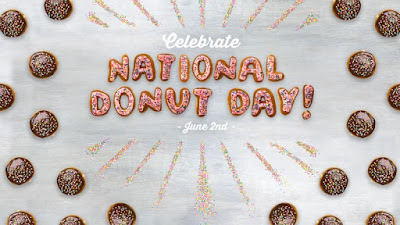 You must mention “National Donut Day” to get the deal.